If you have been gardening for any length of time you understand the amount of work that is involved not only in setting up your garden but maintaining it and harvesting it as well. There is nothing worse than putting all that time into a healthy abundant garden only to have pests take it out frighteningly quick. 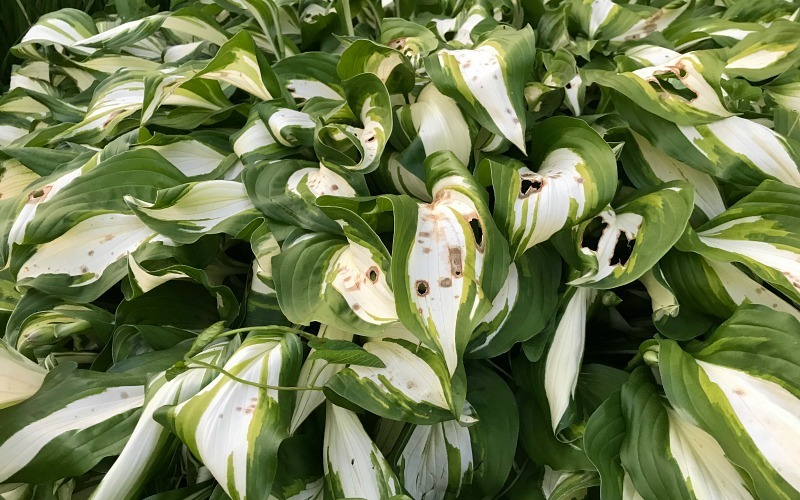 However, blasting our plants with chemicals and sprays is not the answer either. So what do we do? What options do we have left to stop pests in our gardens organically. Organic gardening for beginners. I have been gardening for over 18 years now and I have had my share of pests and diseases. I remember a handful of years ago starting my tomato plants for the very first time. I was so excited to get them in the ground. Once planted they looked so perfect standing up in little rows. I beamed just looking at all those pants I grew from seeds. One morning I woke up to find every single one of them gone. They were bitten off and trampled by some rascal in the night. I was completely frustrated and devastated. A lot of time and care goes into starting those plants from a packet of seeds and to have all that work destroyed in one evening while I slept was beyond upsetting. Little did I know that this would not be my only invasion of pests here on our little homestead. These are tomato loving caterpillars the size of minivans! No, actually I am not kidding. The first time I saw one of these little monsters I was looking into one of my tomato plants and literally came face to face with it! It was the size of a hotdog and I screamed like a 5-year-old little girl! Not only are these caterpillars frightening but they can do some hefty damage too, eating tomatoes down to nothing in pretty short time. They hide in the shade of the tomato leaves munching down. They are almost impossible to spot since they are the same green as the leaves and the tomatoes. If you notice half eaten tomatoes then you may have some pretty large visitors. I did some research and found that if you plant marigolds along the border of your tomato plants this will be enough to deter them. That first year I planted a dozen or so plants and to my delight it completely worked. Yes maybe a bit overkill, but I was determined not to see those things ever again. Now, I only plant one or two at each corner of my raised beds and have not seen a caterpillar since. You also can purchase wasps to destroy the caterpillars but I have found the marigolds do the trick just fine at a quarter of the cost. After a 2-year infestation of them, I was thrilled to find such an easy fix. These visitors can do an insane amount of damage is very short time and can frustrate anyone that is organic gardening. If you are new to gardening I would just assume you will be visited by any of these animals and prepare your defense tactic now. I have tried the VHS tape fencing and yes that did work but only for the dear. You can see exactly how it is done here. The buzzing sound the tape makes when strung tautly between your fence posts scares the deer off. Unfortunately, the rabbits and gophers did not care one hoot about the fence and kept on snacking. Next I tried pie plates. This did absolutely nothing, although it did look pretty. I finally made an investment in electric netting fence and I haven’t had a single problem since. This is not a cheap option but it is the only thing that works for me so I didn’t have a problem investing the money. You can read more about this type of fencing in my post, Goat Fencing 101. Just a few short years ago, we were overrun with moles, grubs, and Japanese beetles all at the same time. Back then I was using beetle bags to trap them but this only caused more and more to invade our home. That next spring Hubs and I noticed our property was getting completely torn up by moles. Our yard was a disaster. I finally found the one cure that greatly reduced and almost eliminated completely my mole, grub and beetle problem. You see these pests are a cycle that needs to be taken care of at the bottom with the grubs. Get your grub problem under control and you will, in turn, get your mole and beetle problem under control as well. Moles eat grubs and grubs are Japanese beetle larvae. So by removing the grub, you will remove the mole and beetle. Chickens LOVE grubs and will happily spend the day scratching and eating them. I began free ranging my hens directly in my garden in the late winter and spring for a few hours every afternoon only (this helps to keep your egg laying in the coop where it belongs). After just one year those chickens ate so many slugs that my beetles were decreased by 80% and my mole problem was almost completely eliminated in just 2 short years. Now I do know that moles also eat earthworms, but for our situation, the chickens ate enough that the moles no longer stuck around. We live in a very shady area so naturally, my plant of choice in my landscaping beds are Hastas. I love how inexpensive they are and how easily you can multiply them in a very short time. Not to mention their hardiness. I filled my beds with different variations of the plant and I loved how things looked. Imagine my surprise when I found my Hasta plants getting brown leaves. I mean they were covered. I tried everything to figure out what was wrong never really knowing the problem. Later the same issue began happening in my vegetable garden. I really thought I had a property-wide disease. One day when I was weeding in the morning I saw slugs. TONS OF SLUGS. They were everywhere. I did some research and found all the damage I had was from slugs. Great. Now I knew what the problem was, but how to fix it? Slugs are not the first choice of chicken dining and actually can do more harm than good in their diet. Slugs can carry Gapeworms which are red round worms that like to attach themselves in the trachea of birds. So, now for a plan B. Bring in the beer, please. Slugs for some reason love beer, so if you have a can or two lying around you are all set. Take a few old plastic lids or other disposable low sided items. Pour just a little beer in and put in your garden and flower beds. 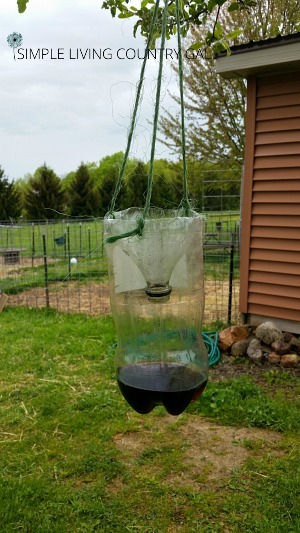 Keep the container up above the ground so you do not attract any ground beetles since they actually do eat slugs. 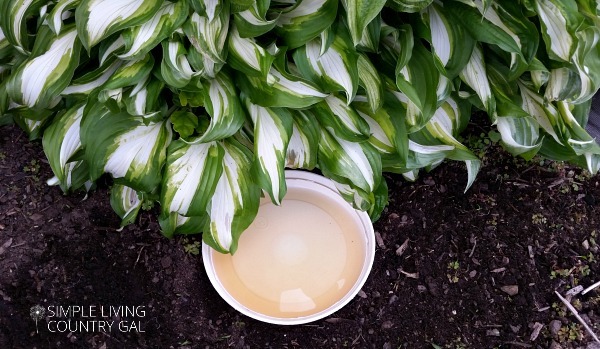 The slugs will be attracted to the beer, climb over the shallow side and fall in. You will need to empty and refill each evening but within a few weeks you should see a big difference in your slug problem. Not a beer drinker? No problem. Take a little sugar water and add some yeast. This should work just as well. If you have animals and a manure pile then you have flies. Lots and lots of flies. 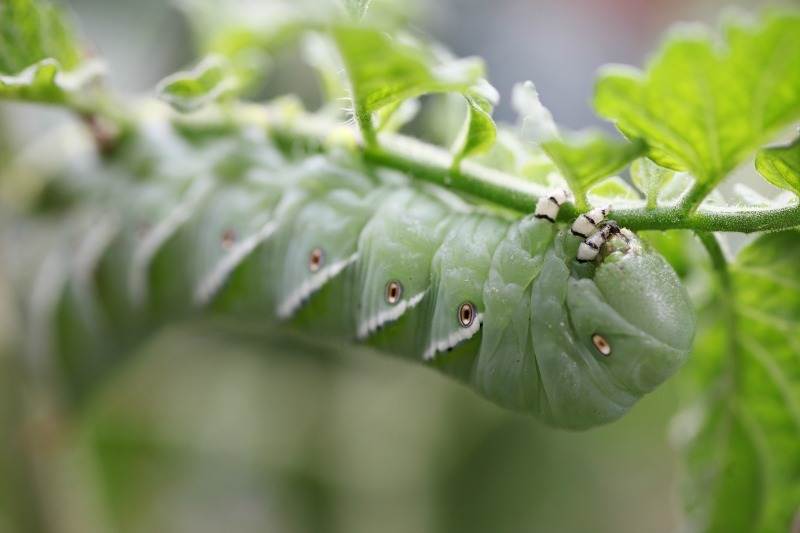 This can be a battle for anyone who is trying organic gardening ways to control pests. For us, the best way to keep the fly numbers under control are fly traps. Buying those traps can be a bit pricey luckily you can make your own. Take a two-liter soda bottle and cut the top off and set aside. In the bottom put your bait. Remember flies like sweet so as your attractant you can use syrup water, honey water, soda pop, cut up fruit or sugar water. If you are brave you can also use animal manure. Put your bait of choice in the bottom of the bottle then place the lid INVERTED on the top and tape down the sides making sure it is completely secure. Punch three holes at the top and attach a string or some barn twine. Hang it up and leave it alone. The flies will be attracted to the bait, fly in and since the opening is inverted they will be unable to fly out. Remember to empty and replace your bait when you see the effect wearing off. If fruit flies are your problem you can catch them using a bread bag and an old banana. Yep, I am completely serious! And this is my favorite organic gardening tip that you don’t even use in your garden! 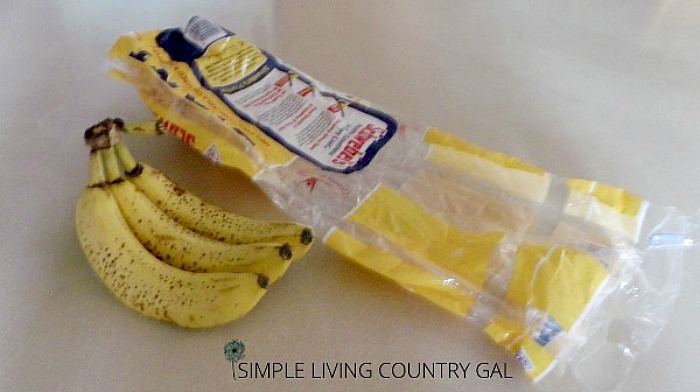 Simply place a mashed ripe banana in the bag and leave on your counter overnight. In the morning gently close the bag, seal, and toss in the trash. After a day or two, your fruit fly problem will be gone. I have never had this not work. I don’t mind saying it, I hate stink bugs. They are creepy looking and hard to kill. If you squash a stink bug it, well, stinks. So it’s better to trap and toss if you come across any in your home. If you have stink bugs in your garden they can be a bit tricky to get rid of without chemicals. 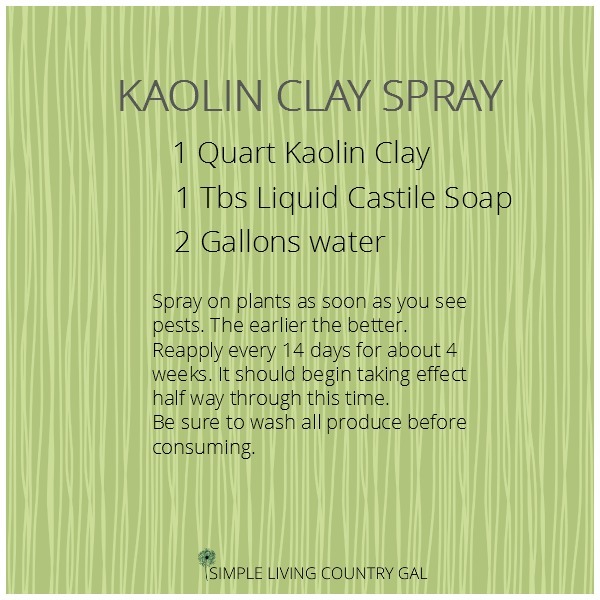 You can use Kaolin clay and make a spray to help deter stink bugs and other pests. Another option is to plant trap plants such as Sunflowers. The stink bugs will be attracted to the flowers. Once you get a good amount, simply cut the flower off and put in a trash bag and dispose of it. Not only do the sunflowers looks wonderful in a garden, but they are helpful as well! When dealing with pests natural is always the best choice for our homestead. I feel that I have enough artificial and chemicals in my life why add more when it is not necessary? Organic gardening is not only better but actually easy too. Use your imagination and you will be amazed at what you can come up with. Not only will your homes be healthier but your barns, gardens, and yards as well. Great tips Tracy Lynn! I will be implementing these for sure!